Shortly after Apple launched their very first iPad in 2010, our team wanted to create an app enabling construction people that work in the field to alleviate their work. 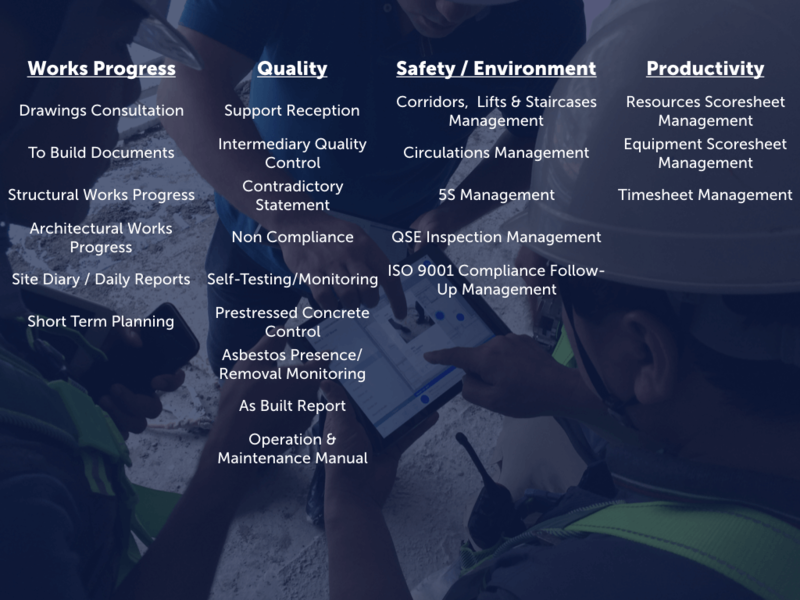 When the app was launched back in 2011, it was used during the pre-reception phase for the most part, allowing precise quality inspections and ensuring everything is reported properly and fixed before final handover. Indeed, this construction phase was, and still is, the most time-consuming and critical, and deploying our app during that phase was an ideal way to maximise adoption. However, we couldn’t just stop there, we wanted to change all phases of construction. That’s why over the past few years, we have developed new features, and are still constantly innovating to ensure an optimal product evolution. We want to digitise more and more processes for the field, and that involves taking action at each step of a new construction or rehabilitation project. Not so long ago, most business processes were happening using Excel sheets, but now companies typically use dedicated software that are more relevant to the concerned task. In the construction industry however, we’re still far from this trend. The use of pencils and papers is still a widespread and enduring phenomenon. Each construction project has its own lifecycle and is usually divided into different phases which all have distinctive characteristics. For example, if I were the general contractor in charge of the construction of a brand new 10-story building in the heart of Montréal, my project phases would be much different than if I were working on maintaining the HVAC system of a skyscraper in Kuala Lumpur. Not only are there discrepancies in terms of country regulations, but there are also cultural elements to take into consideration, differences in materials used, multiple persons involved at different stages, budget and size variations, construction protocoles and so on and so forth. That’s why it’s important for us to have a versatile product that’s capable of answering the needs of as many construction sites as possible. To that extent, we created a product in which construction projects can be divided into different sub-projects, each representing a construction phase, based on your needs. Indeed, due to all these elements aforementioned it made sense to treat each phase of a project’s life cycle separately and more precisely. For example, if the 10-story Montréal building project was achieved using the FINALCAD app, it could be composed of a multitude of sub-projects including one for Structural Works Progress, one for Architectural Works Progress, and one for Reception. The number of sub-projects created is up to you, but this separation allows for more in-depth information, and make it more relevant to people working on this precise phase. No matter what phase you’ve completed though, there is one key element following you through the whole project flow: data! Indeed, data from previous phases gives you precious insights about what’s to come. 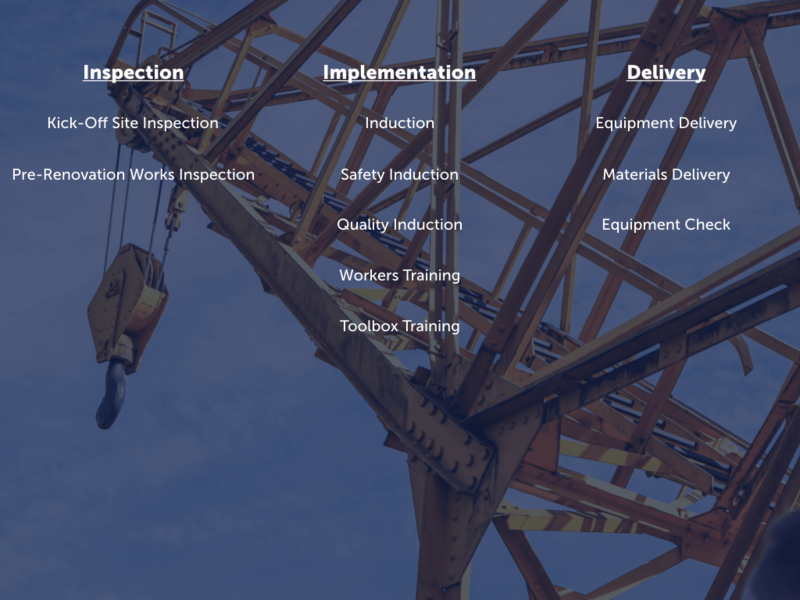 In a recent blog article on Structural Work Progress, we’ve mentioned that 1/3 of incidents discovered at a end of the construction phase are directly related to issues during the structural work phase. With the proper use of data, it is possible to anticipate issues from one phase to another, and to determine good practices. Another main advantage of dividing each construction project into sub-projects is that it allows for totally different functionalities on each one. Every time you create a new project / subproject, our team helps you decide which ones to add based on what you wish to accomplish with FINALCAD. Overall, this method ensures smooth processes, the ability to collect clear data, and to communicate with all relevant third-parties involved with the project. These topics will soon be discussed in more details in an upcoming blog post. The preparation phase of each construction project is crucial; it helps setting up building processes, which ultimately determine the degree of success of a project. During preparation phases, you may use FINALCAD to ensure your construction site is ready for the works to start. It will help you build a list of tasks that need to be done, and ensure no detail has been forgotten. When using the FINALCAD app on a project, it’s important to include the app from the get go, because it will guide the whole project (Roland Berger, 2018). Indeed, the criteria you wish to include in your quality controls for example, well they should be added into the software right from the start, that way the information is standardised and each party involved is aware of the information. The app can also help you put together a buyers’ wish list for example. It’s a useful way to kick-off your project, and start off on the right foot. FINALCAD adds a framework to your projects, and facilitates communication. This phase is typically the longest one, and FINALCAD can help you optimize it to shorten delays, ease communication processes, and save money. Our application is the perfect tool to identify any mismatches between your actual construction works and what was planned originally - in real time - allowing you to correct them along the way. It helps ensure everything is in conformity. It’s also very helpful to measure progress, and check the status of each task. Each input relates to an area of your construction blueprints. You can always rely on these blueprints, no matter where you are, and no matter if you have an internet connection or not. It makes it very helpful to pass on information from one person to another, and make sure everyone concerned gets the memo. As soon as you get access to a web connection, your edits are automatically synced to everyone's device. With FINALCAD, it’s easy to know what everyone has to do - all parties involved can quickly access the list of specific tasks that are assigned to them in just a few clicks. Moreover, people using BIM technologies can reconcile the data collected on FINALCAD with their models easily, which prevents workers from doing additional and unnecessary data entry. Not only does the information remain in the app for an unlimited amount of time, but it’s also synthesized and analysed by our system in the form of regular reports. These reports are gold because they highlight all the global trends observed on a specific project. Thus, it’s simple to identify recurring issues and good practices, and the company can implement corrective actions promptly and with confidence. 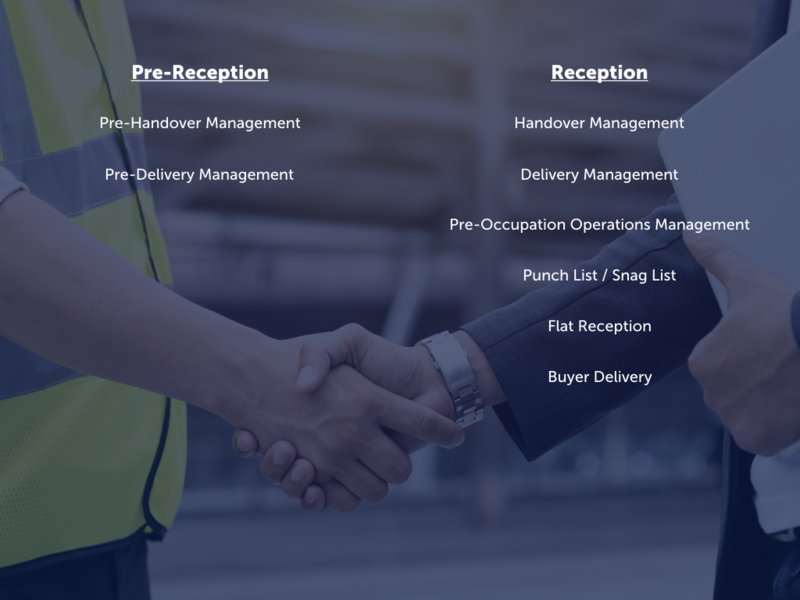 The handover phase is certainly the most delicate phase of a construction project since it is when the client / stakeholders decide whether or not they accept the final result. Typically during this phase, many defects are pointed out by the client, and based on the agreement that they have with the general contractor, all these issues must be resolved before final handover. With FINALCAD, you can get a head start on the handover by doing a first run internally (pre-handover). It’s helpful to aggregate all observations arising during both pre-handover and handover phases. It helps users perform precise quality controls, and collaborate with other parties involved and subcontractors to answer all the client’s needs. It’s also an efficient way to centralise information and increase productivity, especially considering the strict deadlines. Furthermore, using FINALCAD during the handover phase ensures there’s a trace of all issues that were solved at a specific date. Indeed, all defects reported during this phase are listed in the app, and once they are fixed, workers may solve them. It means you can always go back to this information and check at what date it was solved, in case anything happens after reception. The use of our app doesn’t just stop after a project has been handed over; FINALCAD is shown to be helpful during exploitation phases too. Whichever organisation is responsible for operating, managing, renovating or maintaining a certain building can use the app to repair defects, request services from a subcontractor, track works, inspect, and more. We really wanted to be present during a full building’s life cycle, so that’s what we did. If earlier stages of a construction project happened via FINALCAD, then the data collected may be useful during final stages too, giving precious insights (e.g. places where defects were reported during construction phases) to people that are working on it after handover. It’s thus easier to detect where potential issues will happen, and it saves a lot of time trying to find the origin of these issues. FINALCAD also provides precious information regarding how similar problems were previously fixed. On the other hand, it’s also possible to just start a brand new maintenance project from scratch too. When choosing FINALCAD as your construction ally, you benefit our three core assets: a functional app for the field, useful data insights to help you learn more about your projects and improve your processes over time, and change management via our dedicated team of experts helping you along the way. All three of them are key to running successful projects. This blog article mainly focussed on our app, its specificities and use cases, although future posts will explore our two other services in details. To know more about the FINALCAD application, don’t hesitate to download it to your preferred device.